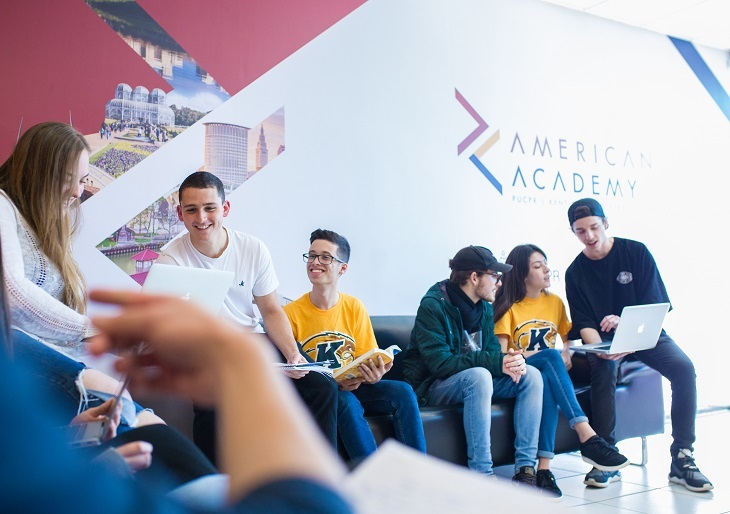 During the first two years, the American Academy’s curriculum follows the Liberal Arts Education model, which is especially prevalent in the United States, and covers topics in the areas of humanities, natural and social sciences. Through the Liberal Arts Education, students get a global knowledge and acquire transferable skills, fundamental in all professions. 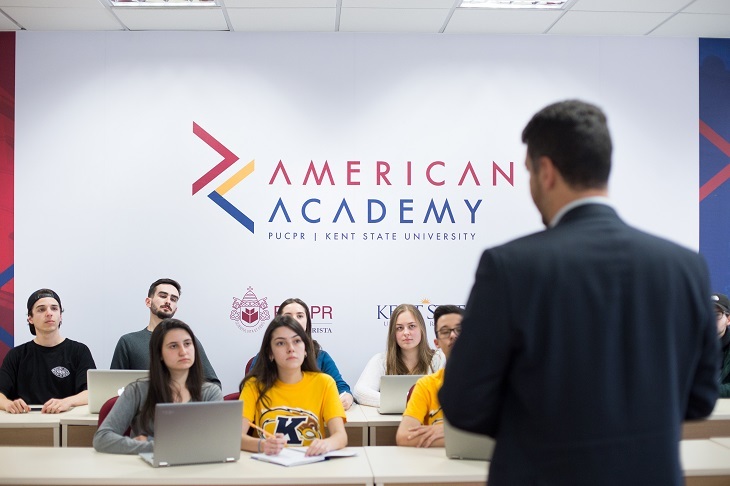 By the end of the second year of American Academy, you choose to finish your studies either at PUCPR or at Kent State University. Complete the online form, print the invoice and pay the R$ 90,00 application fee. Upload the documents on the candidate’s area. Documents: High school transcripts (GPA > 2,5), English proficiency test results, and motivation letter. In person or video conference interview. 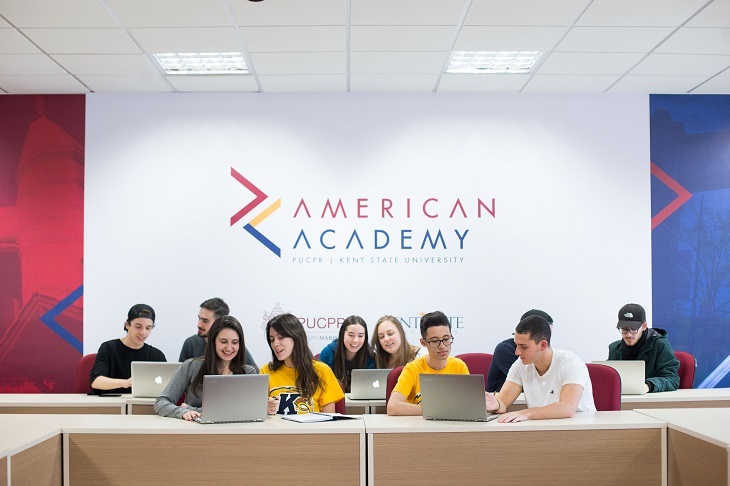 After the interview, if you were accepted, welcome to the American Academy! 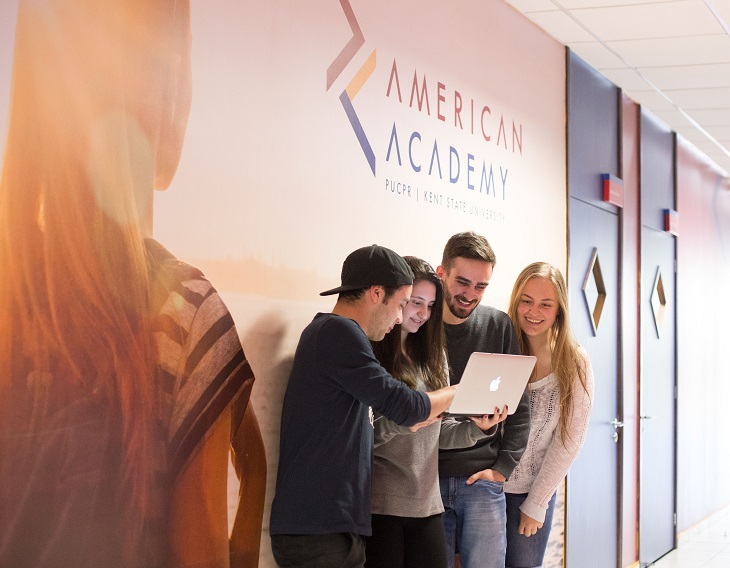 The American Academy higher education initiative is worldly renowned as “Liberal Arts Education” or “General Education,” an education model built on the 21st-century soft skills development, which grants the students an interdisciplinary experience during the first two years of college. Plus, the Liberal Arts education promotes the advancement of ethical living, and critical, analytical and creative thinking, which are essential abilities in every career path. 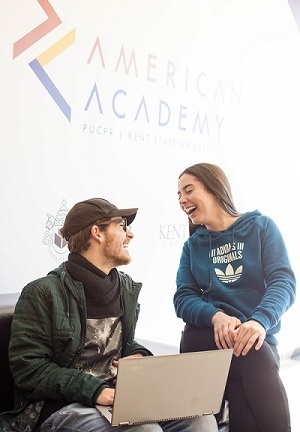 Kent State University is one of the best universities in the United States, according to U.S. News & World Report, one of the top higher education rankings in the world. Located in Kent, Ohio, the university offers a distinctive blend of teaching, research and creative excellence. At Kent State, students have life-changing educational experiences, as well as a welcoming and positive diverse environment.